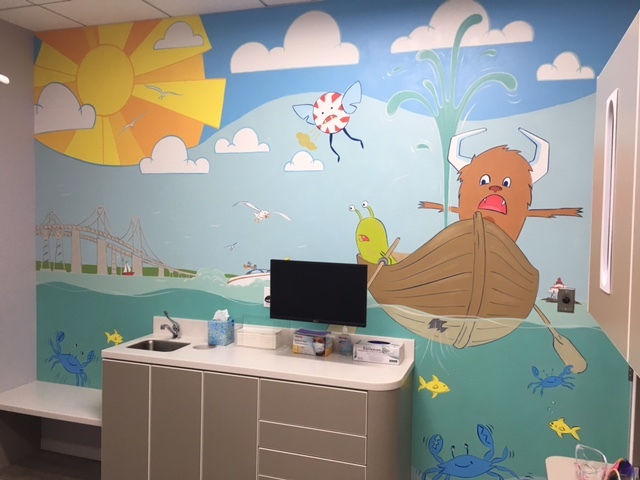 Chesapeake Pediatric Dental Group asked me to paint 8 more murals for their new office in Abingdon. 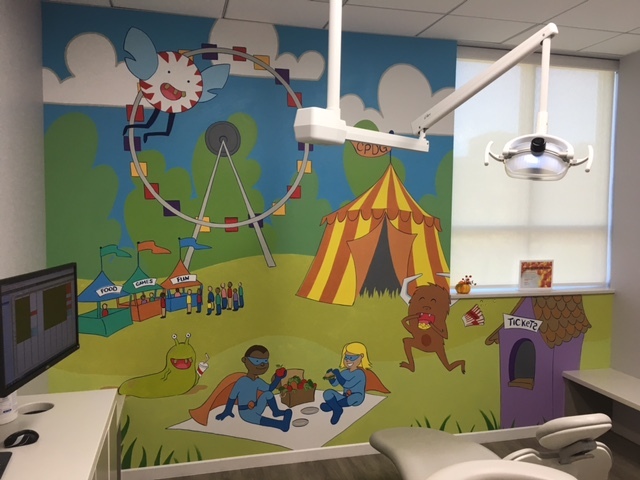 CPDG has superkid heroes that teach children the importance of healthy teeth. They are always on the lookout for the destructive Sugarbugs. Here are a few images of the rooms I completed with the help of my friend and artist Mary Landavere. As before, we painted the murals on canvas and installed them on site. Shelly Wilkins of Walls, Etc. always does an impeccable job.